500 H1 4-Stroke Engine with EFI: This potent 443cc, SOHC, liquid-cooled single-cylinder engine delivers smooth, consistent acceleration. Electronic fuel injection enables a wide torque curve and effortless power delivery by constantly tuning the engine for any temperature, elevation and humidity. Ride-In Suspension: Double A-arms optimize wheel motion, translating into more responsive steering and better cornering. With 11 inches of ground clearance and 10 inches of suspension travel, our Ride-In suspension will stare down anything you put in front of it. Front & Rear SpeedRack II: Constructed from high-grade rubberized, impact-resistant material on top of a layer of reinforced steel, you can pile heavy loads on it without it breaking down, even in freezing temperatures. It also features 14 SPEEDLock™ attachment points for easy-on, easy-off accessories. Passenger Seat: This comfortable passenger seat makes this a party for two. Going solo, this seat can also be removed in a matter of seconds. ATVs can be hazardous to operate. For your safety always wear an approved helmet, eye protection, and protective clothing. Never engage in stunt driving; riding and alcohol/drugs don’t mix and could cause serious injury or even death. Avoid excessive speeds and be particularly careful on difficult terrain. Arctic Cat recommends that all riders read and understand their operator’s manual before operation. Along with concerned conservationists everywhere, Arctic Cat urges you to “Tread Lightly” on public and private lands. Ride only on designated areas or trails. Preserve your future riding opportunities by showing respect for the environment, local laws, and the rights of others when riding. Do not shoot from or lean firearms or bows against the ATV. Never carry a passenger on a single-rider ATV. Only ride an ATV that is right for your age. Supervise riders younger than 16. The minimum operator age for ATVs is 16, 14 on the 150 model and over 12 on the 90 and DVX 90 models. Arctic Cat recommends that all riders take a training course. For safety or training information in the U.S., call the ATV Safety Institute at (800) 887-2887. In Canada, call the Canada Safety Council (613) 739-1535 or see your dealer. ®™ are trademarks or registered trademarks of Arctic Cat Inc. ©2014 Arctic Cat Sales Inc., Thief River Falls, MN 56701. 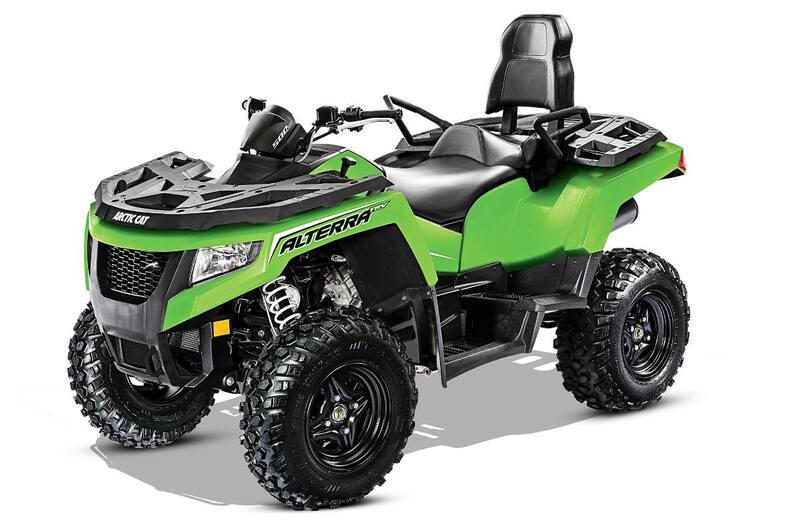 Arctic Cat ATVs and Side by Sides are world-class products from Arctic Cat Inc.